Mosaic is in a healthy state in the early 21st century, despite a tendency for it to be thought of as more the work of craftspeople than artists. Perhaps this is a difficulty in accepting the fact that mosaics often have a dual function, for example as flooring, and also because it is a very accessible, non-elitist form of creativity. 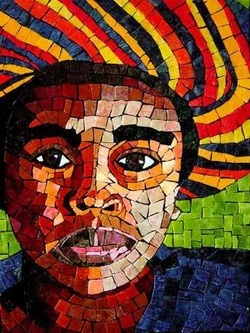 The field is rich with new ideas and approaches, and organizations such as the British Association for Modern Mosaic (BAMM Gallery) and The Society of American Mosaic Artists exists to promote mosaic.